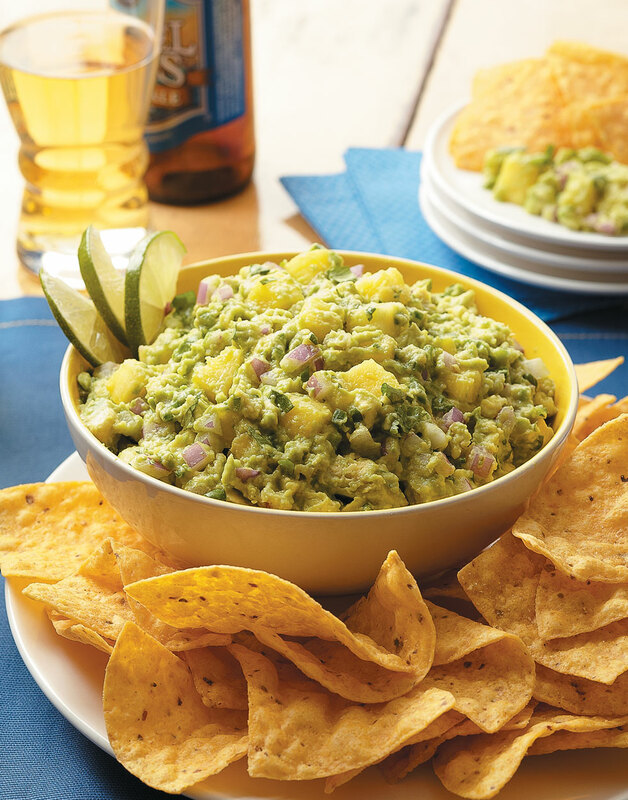 Add tropical flair to your guacamole by incorporating chunks of pineapples. This is a delicious surprise your party guests won't expect. The pineapple juices seep into the guacamole the longer it sits, so stir in the pineapple just before serving. Lightly mash avocados with a pastry blender or fork. Stir in pineapple, onion, lime juice, cilantro, and jalapeño; season with salt and pepper. Serve guacamole immediately.